The ambient genre has never been more alive, it seems, than today. Decades after its birth (to the degree that a date of origin can be fixed), recordings continue to pour forth at an amazing rate. Recent releases by long-standing practitioners Erik Wollo, Steve Roach, and Max Corbacho provide a good representation of how things currently stand and show how artists associated with the genre individuate themselves while staying true to the fundamental principles of the form. Philosophical themes relating to time, space, and infinity are common to all three, and though indexed tracks are present, each assumes the character of a long-form meditation. Wollo’s distances itself from the others, however, in excluding synthesizers; everything on his outing was created using electric guitars, EBow, and harmonizers. 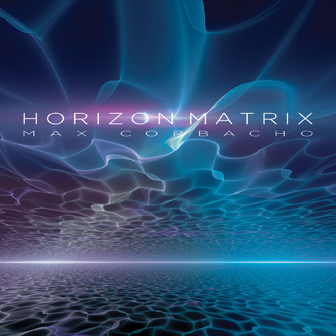 Like Infinite Moments, Max Corbacho’s Horizon Matrix unfurls at a stately pace, with in this instance the material flowing without interruption through five parts; similar to Wollo, he also draws from philosophical concepts, with temporality as the guiding principle and inspiration coming from Plato’s characterization of time as a “a moving image of eternity.” It’s a somewhat more pure ambient-electronic production than Wollo’s, however, for the fact that the Barcelona, Spain-based Corbacho created all of it using sequencing, samplers, and synthesizers. The epic, twenty-eight-minute opening piece, “Quantum Cathedrals,” establishes the album’s tone with crystalline synth textures that alternately undulate and whistle. Everything moves in graceful slow-motion, which, coupled with softly shimmering atmospheres and organ-like textures, bolsters the luminous character of the material. Also like Wollo’s recording, the parts in Corbacho’s do form a cohesive whole yet also exhibit differences, the shift from one part to the next clearly discernible. After “Quantum Cathedrals,” the sound field expands to billowing proportions in “Temporal Horizon,” with tidal washes surging dramatically and high-pitched tones offset by stormy undercurrents. The intensity rises yet again with the immense, reverberant swells of “Beyond the Light Storm” before culminating in an epic climax in the fourth part, “Into the Ocean of Time.” Much like the material on Corbacho’s previous releases, there’s little that’s earthly about the expansive soundscapes on Horizon Matrix, which give the impression of being located in a realm outside the space and time of human experience.